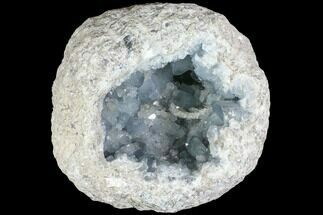 This is a large, top quality Celestite geode from Madagascar. 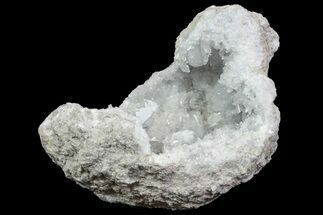 It measures 8.3" wide, weighs 26 lbs and has a deep pocket of large, high grade Celestite crystals. An exceptionally nice specimen. 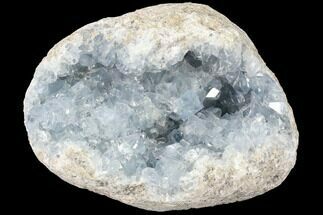 Celestite or Celestine is a sky blue mineral consisting of strontium sulfate (SrSO4). 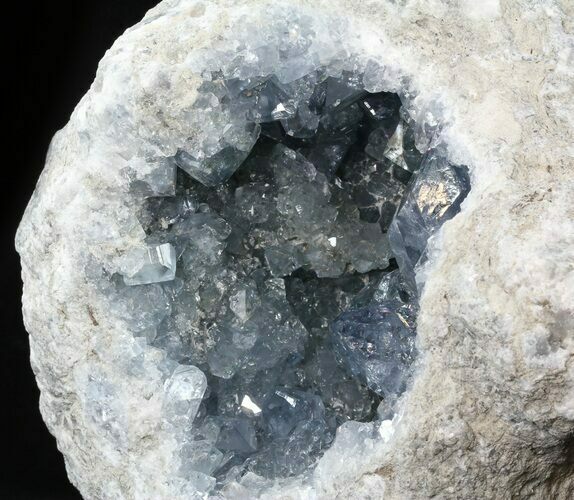 Celestite tends to form attractive, well-shaped crystals often found inside of geodes. 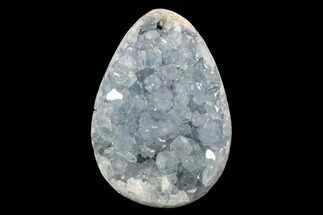 The main source of Celestite is from the deposits on the northwestern coast of Madagascar. This famous Madagascar locality discovered in 1967 has an annual production of about 15 tons of the material. It is located near the village of Sakoany, on the western side of the banks of the Betsiboka River. 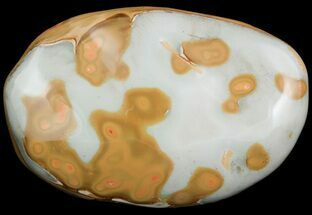 The celestite-bearing layer is found in a maximum 30 m thick lens between layers of crinoidal limestones and sandy greywacke of the Danien period (Jurassic, 65 million years old). 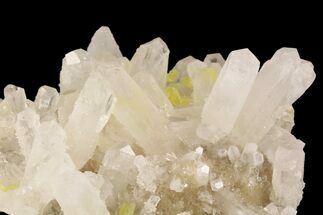 It is mined by digging shafts up to 15m (50 feet) deep in order to reach the deposits. 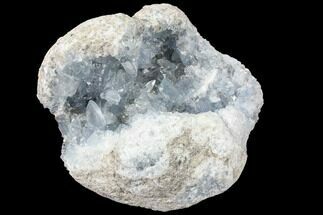 The celestite occurs mainly as 2 different types: as geodes up to a maximum size of 60 cm in diameter, and as crystal clusters up to 15 cm in diameter. The world's largest known geode, a s geode 35 feet (10.7 m) in diameter at its widest point, is located near the village of Put-in-Bay, Ohio. 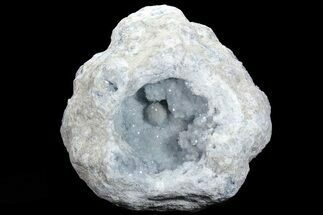 The geode has been converted into a viewing cave, Crystal Cave. 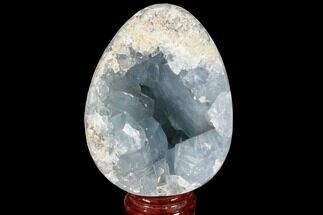 4.1" Crystal Filled Celestite "Egg" Geode - Large Crystals!